Thousands of professionals have been working earnestly to understand Lyme disease. The Lyme disease professional community should take credit for the following findings. Polly Murray’s children and neighbors suffered from Lyme disease rather than Juvenile Rheumatoid Arthritis. Alan Steere described a cluster of adolescents and adults with Lyme disease in Lyme Connecticut. William Burgdorfer discovered Borrelia burgdorferi in the midgut of the Ixodes scapularis tick. James Krause discovered Babesia microti in the same ticks. Eric Logigian described chronic neurologic Lyme and Lyme encephalopathy in Lyme disease patients despite antibiotic treatment. In a recent article in the American Journal of Medicine, Drs. Shapiro, Baker, and Wormser cite examples of tests which failed to prove persistent infection and sexual transmission of the Lyme bacterium. The authors highlight the ineffectiveness of such tests. Instead, Drs. Shapiro, Baker and Wormser argue that the problem is not Lyme disease but “fake research,” “fake blood cultures,” “fake diagnoses, and “fake laboratory research.”  The authors even suggest that legislators stop passing laws to protect physicians who treat Lyme disease. “This makes it difficult for medical review boards to safeguard public health by disciplining those who put patients at risk,” they state. If the medical community wishes to broaden its knowledge of Lyme disease, it would be more reasonable to give credit to the Lyme disease community which has worked tirelessly to understand this complex disease. 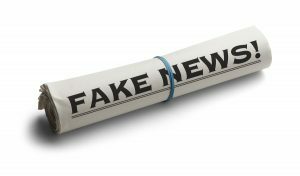 Articles that claim Lyme disease patients, advocates, and professionals are pushing “fake news” does little to further our knowledge and advance patient care. Shapiro ED, Baker PJ, Wormser GP: False and Misleading Information about Lyme Disease. Am J Med 2017. Weitzner E, Visintainer P, Wormser GP: Comparison of males versus females with culture-confirmed early Lyme disease at presentation and at 11-20 years after diagnosis. Diagn Microbiol Infect Dis 2016. Logigian EL, Kaplan RF, Steere AC: Chronic neurologic manifestations of Lyme disease. N Engl J Med 1990, 323(21):1438-1444. 7 Replies to "“Fake news” charges do not give credit to the Lyme disease community"
I presented to a Connecticut ER in 1994 with a large expanding dark red, smooth-bordered, round rash behind my knee accompanied by intermittent fevers and chills x 2 weeks. The ER doctors thought maybe a tick bite caused this but ended up going with a possible spider bite and they prescribed a treatment that has no effectiveness against the Lyme disease causative bacteria. Two weeks later I passed out while driving my car due to new heart problems. I felt fluttering and skipping beats, some were very pronounced. I was taken to the same ER where they did not make the connection that I was there 2 weeks prior with the impressive rash, chills and fever. Over the next 6 months I became very foggy headed/confused, and experienced pain, buzzing sensations in my legs, scalp pain, hot feet, tingling in my fingers, twitching in my face, labored breathing, and many other very unusual new symptoms. I was 36 years old at that time. An astute neurologist who was called in to consult on my case ordered tests for Lyme disease and they came back positive on both ELISA & western blot. I was diagnosed with Lyme disease and treatments began, first with IV Rocephin, then oral doxycycline. Over the next 22 years (to present) I have experienced many health problems that have included Bell’s palsy, cognitive impairment (confirmed by brain SPECT scan and neuropsych testing), various and frequently recurring skin rashes, photophobia, visual flashing, visual floaters that require eye injections, open heart surgery to replace valve damaged by inflammation, tinnitus, extreme fatigue, pulmonary bleeding, leucocytoclastic vasculitis, hypoxia, pulmonary hypertension, and I’m sure there are a few others. Suffice to say, the tick bite in 1994 started in motion a cascade of unfortunate health events that I wouldn’t wish on my worst enemy. I’m sure most readers here won’t know who I am, so you will just have to take my word for how tough of a guy I am. Folks, I am tough and I’m wired to put up with an awful lot of crap. Imagine, this microscopic bug pretty much brought me to my knees and caused me to cry real tears. More than once! Every time I was treated with antibiotics I felt some improvement but in my case I believe it took too long to diagnose and start treating so, for me, it has become chronic. Also, apparently there is an autoimmune component to this, as well, given my always-elevated “Sed rate” which is a non-specific but very sensitive marker of inflammation. Normal is less than 20mm hr and mine is usually 80mm hr or higher. Also, my ANA, C-reactive protein and IGA tests are usually positive. All Lyme disease testing done on me have always, without exception, been positive. I’ve had numerous ELISA and western blot tests performed at many different labs, biopsy/confirmed borrelial DNA at NIH (Dr. Paul Duray), and blood PCR testing. I could be a poster-boy on why early diagnosis and prompt treatment are so important. I could also serve as a sterling example that, yes, chronic Lyme disease really does exist. Thanks Dr. C! You always have our backs and it is very much appreciated! Hugs to you and yours. Thank you TC! Great article! Definitely need more research and better diagnostics! Thanks for the post. I don’t know how any physician cannot read this as a veiled threat — whether they are conscious of the threat, or it slips in subconsciously. From a legal standpoint, it is a form of intimidation, and also a challenge to physicians’ First Amendment rights to free speech and association. Unfortunately, disciplinary actions against physicians performed in the context of a state administrative agencies do not provide protections physicians would be accorded in a court of law. Inciting nonmeritorious medical board complaints and providing expert witness testimony to silence dissent is conceptually similar to the filing of SLAPP lawsuits — “Strategic Lawsuits Against Public Participation.” SLAPPS are filed by more powerful parties against the less powerful to harass, intimidate and silence a party. SLAPPs have become such a problem that 28 States now have legislation enabling targets of SLAPPs to take legal action against those who file nonmeritorious complaints for the purpose of interfering with another party’s right to free speech and public participation. Prior to leaving office, Obama signed into law a new federal anti-SLAPP statute, and another has been introduced in Congress. Practicing medicine is comprised of both speech and opinion, and acts — and is subject to laws regulating the practice of medicine. It doesn’t fit easily into a paradigm that what’s at stake is simply speech, and state or federal constitutional law is not recognized by medical boards geared only to deciding whether a physician has breached a standard. Courts are reluctant to step in on matters involving medical practice, relying on experts, and the cost of challenging a medical board action in civil court is beyond most physicians. The quashing of dissent with respect to Lyme disease thus poses complex legal issues. This statement published in the American Journal of Medicine amounts to intimidation. Notably, some states have civil or criminal law that provide remedies for intimidation, including the ability to obtain injunctions against another party or monetary damages. Criminal statutes typically carry the penalty of prison time. I believe it is important that we begin to formulate legal strategies that are proactive, and that involve “think tank” solutions to the threats that come from so-called experts with known financial interests in this disease. Medical board harassment as a practice to quash dissent began in 1994 by my calendar — so, it’s been, at minimum, twenty-three years that patients and their doctors have endured this problem and the obstacles it poses with respect to access to medical care. We now have major donors who are funding research, but no money is set aside to address the obstacles patients and physicians encounter in the everyday treatment of this disease. It is not merely a problem of science lagging behind. In my opinion, the threats made against doctors by certain parties violates legal norms and is of questionable legality. The formation of legal think tanks to challenge injustice is a well known strategy. It’s long past due for the Lyme disease community to use these same tools and create strategies to address this critical problem. The damage these other Doctors are causing unfortunately goes beyond medical. Family members of lyme patients would rather believe that we are ‘cured’ and that there is no such thing as chronic lyme. This creates just as much damage as the disease itself. It is hard enough to fight the disease and medical community without having to ‘fight’ the people who should be fighting with you. Unfortunately it is easier to believe the lies than fight for truth. Thank you Dr Cameron and all the other llmds that fight for us in the medical community! Keep fighting the good fight we all appreciate it beyond what we can express!